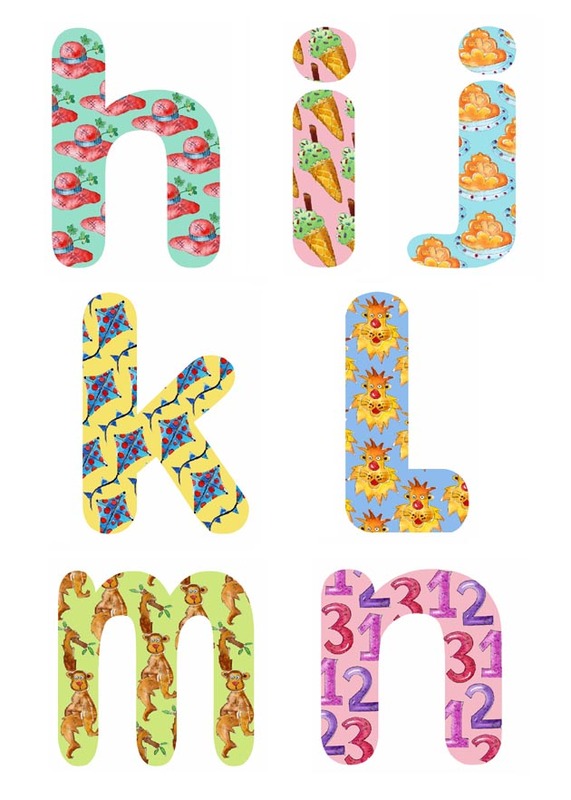 The four sheets in this fantastic pack of kids wall stickers contain a sticker for each of the 26 letters of the alphabet. 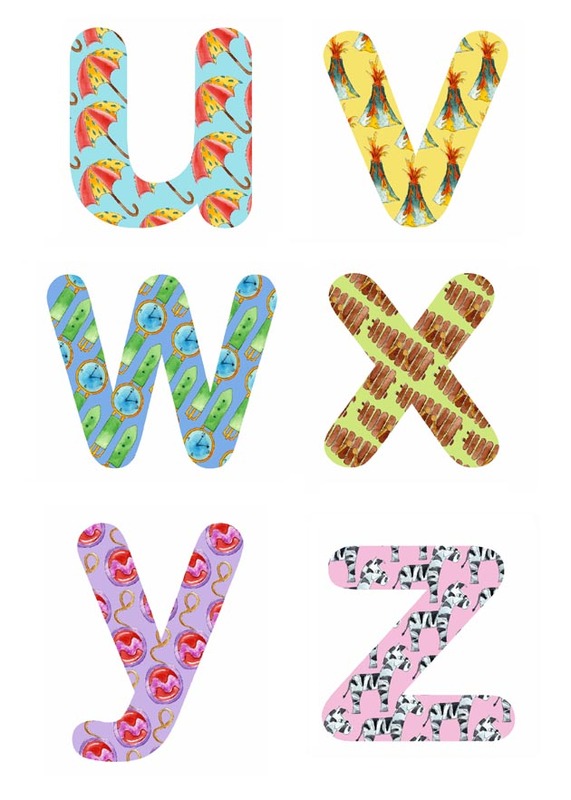 Each inventive sticker has corresponding illustrations within the letter to assist in learning the letters of the alphabet. 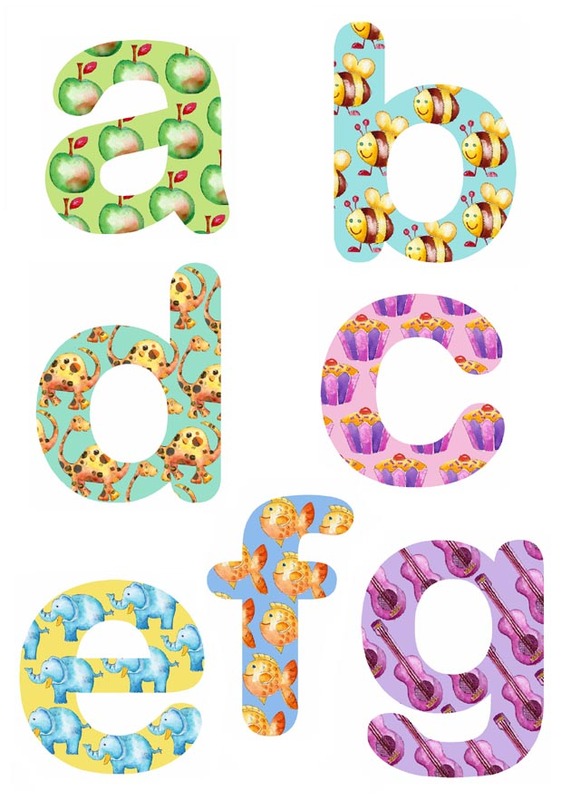 For example A has apples, B has bumble bees, C has cupcakes and so on... All our children's stickers are easy to apply and can be removed and repositioned without marking a wall or other surface. 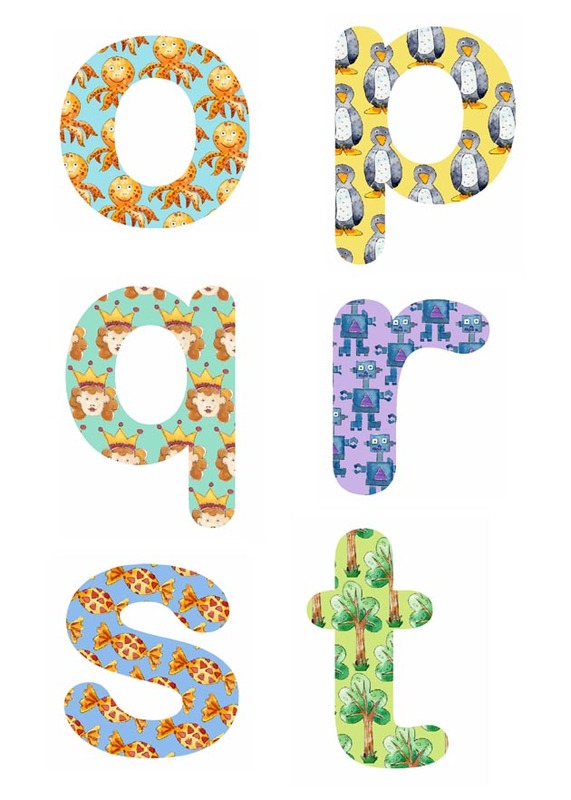 These gorgeous letters are ideal for a child's bedroom or nursery to add colour and offer a practical learning tool. Four sheets of stickers in each pack. Letters are around 8-10cm high.